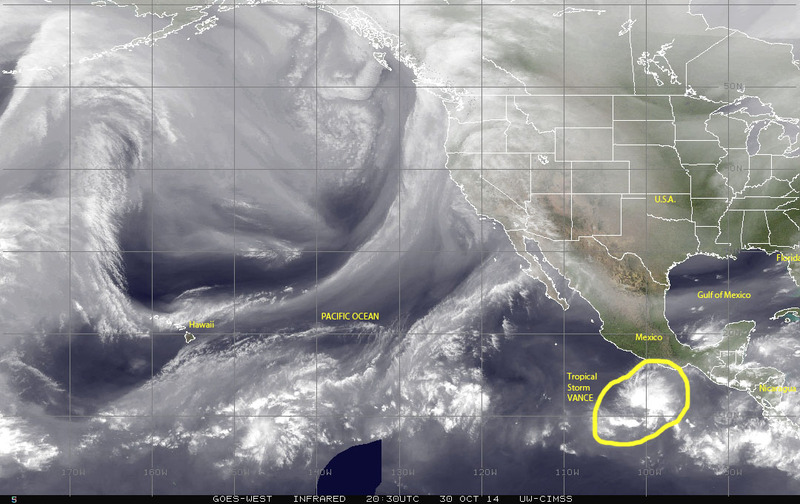 2014 East Pacific Hurricane Season: 20 and counting! The eastern Pacific off the coast of Mexico and Central America continues generating tropical cyclones in what may become a season for the record books. 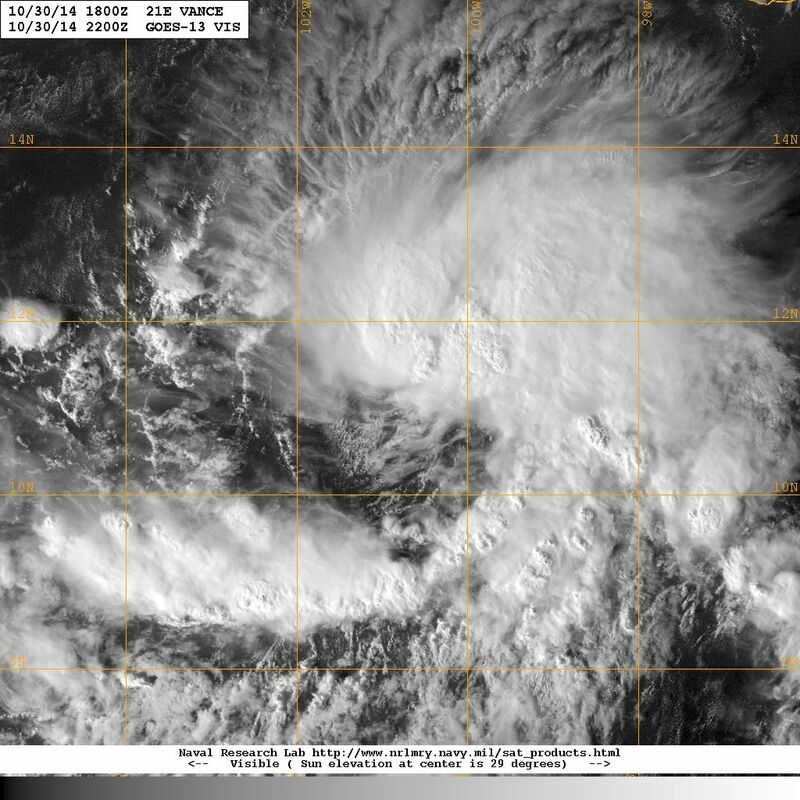 Just today, Thursday 30 October 2014, tropical depression #21 reached tropical storm strength and took the name of VANCE. This storm is moving generally northwest into a favorable environment off the Pacific coast of Mexico where it is forecast to become a hurricane in the next couple of days or so. Meanwhile the eastern range of the sub-basin all the way to the Gulf of Panama is populated by an aggregation of disturbed weather cells feeding into the region of the East Pacific ocean where we have seen twenty named storms so far this year. On the other side of the landmass, over the Atlantic basin we have only had eight named storms in what so far has been a below-average 2014 hurricane season, the last one being tropical storm HANNAH, which made landfall in Nicaragua a few days ago. Previous PostTD NINE – DISTURBED SOUTH FLORIDA WEATHERNext Post02 November 2014: It is all in the Pacific!